Adds a new block on home page. 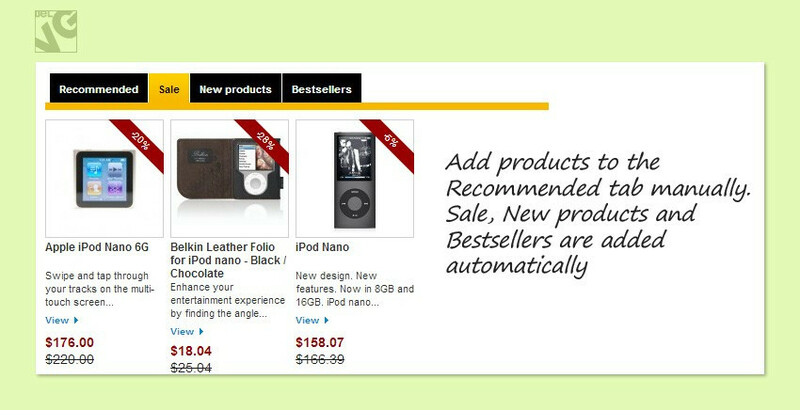 The block includes several product tabs like Bestsellers, or Sales. Fill the Recommended tab with the products you need, the rest of the content is filled automatically, based on your current discounts and sold amount. 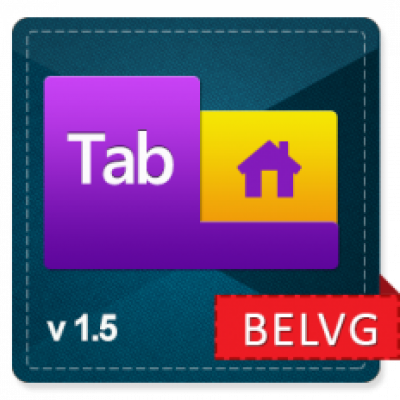 User-friendly tabs will help the user find the necessary item instantly. 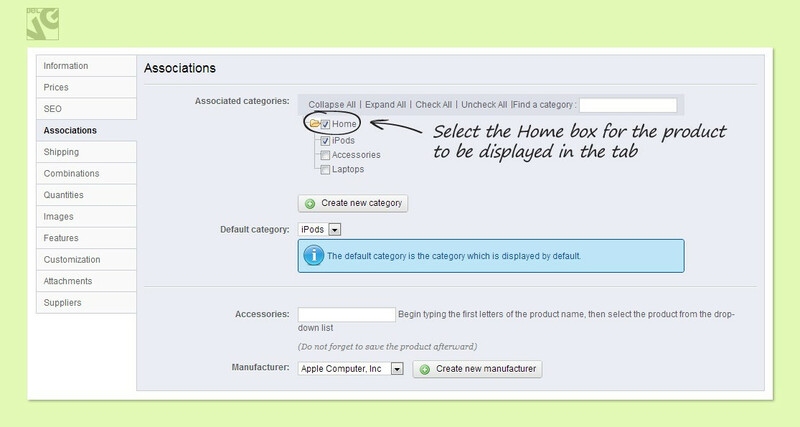 The visitor will proceed to the respective product page and purchase the one. 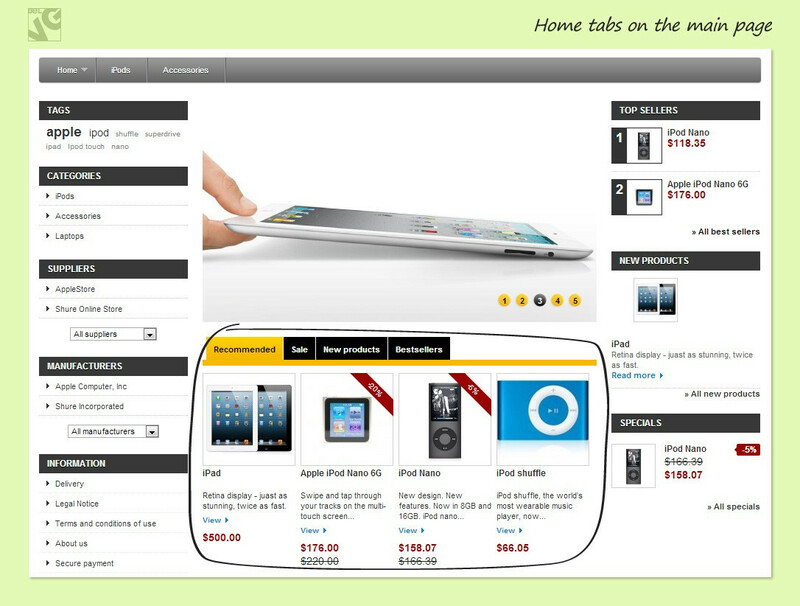 Prestashop Home Tabs is an easy way to boost your sales.